One of my favorite (easy) fresh summer appetizers is Basil Cream Cheese pesto with tomatoes. The fancy version involves making an “X” shape in the end of a cherry tomato and stuffing the tomato with the pesto filling. 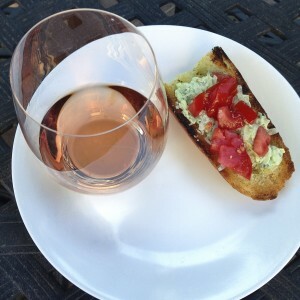 I prefer to spread it on grilled bread and top with chopped fresh garden tomatoes to make bruschetta. Pulse all solid ingredients together in a food processor while drizzling olive oil into the mixture. Blend until smooth. Brush fresh bread with olive oil and grill or broil. 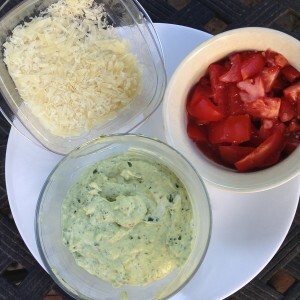 Spread pesto mix onto bread, top with chopped tomatoes and extra cheese if desired. 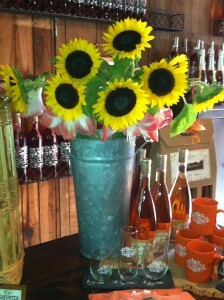 Enjoy with a low-tannin light red, or rosé wine. 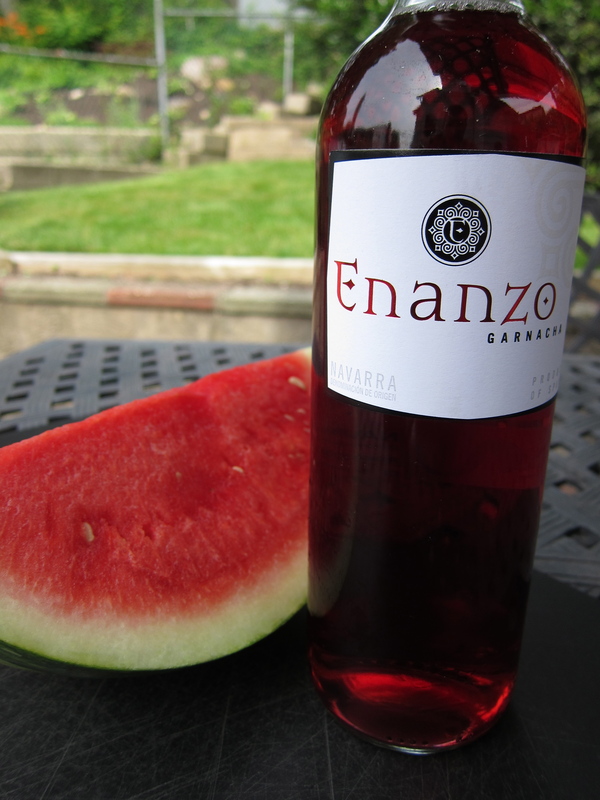 My wine pairing suggestion is a pink Sangiovese like this one. 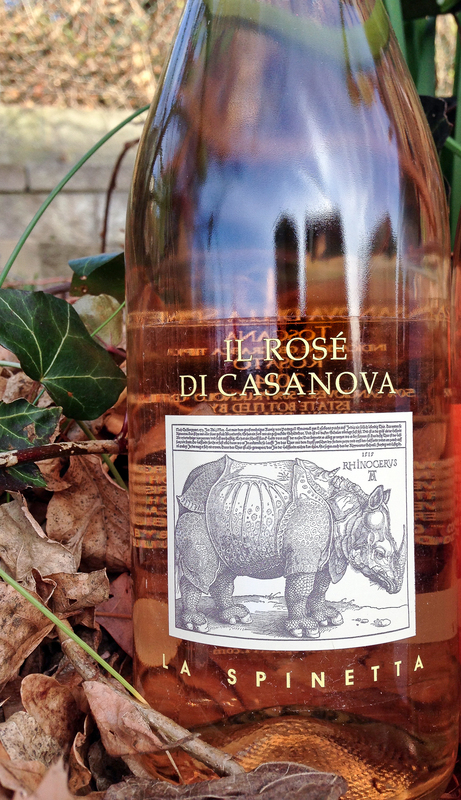 Il Rosé di Casanova- La Spinetta. Around $15. 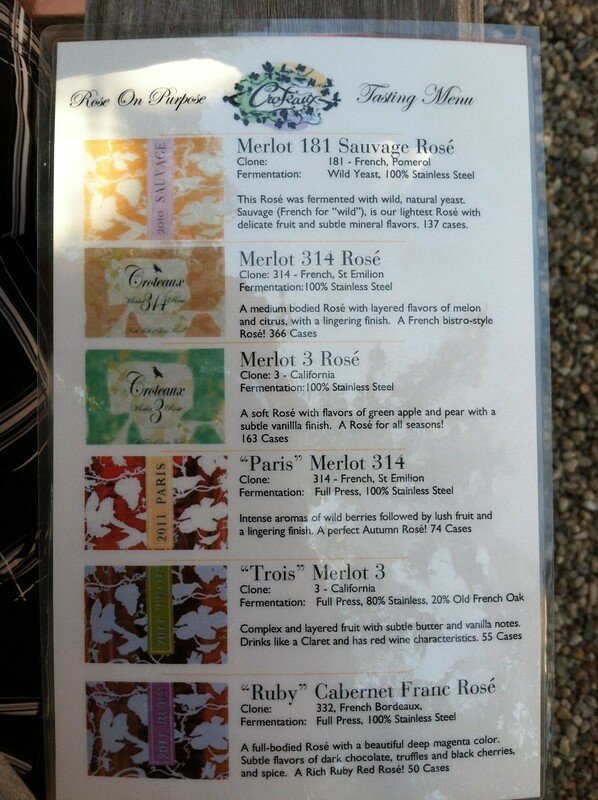 They are technically light red wines since they can only be produced from red or black grapes. The pinkish color comes from contact with the skins. 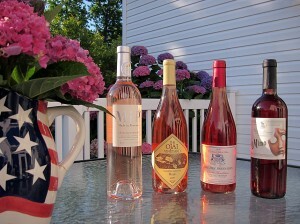 Rosé wines can be various shades of red– most often salmon or pink. They can be extremely light and easy drinking, or complex enough to pair with grilled meat and heavy pasta dishes. Here are 3 of my new favorites if you are thinking pink. 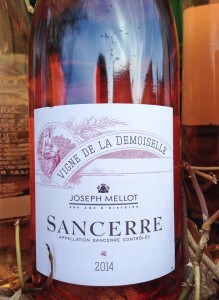 Sancerre– most people are familiar with the white wines from this Loire Valley region made from Sauvignon Blanc grapes. 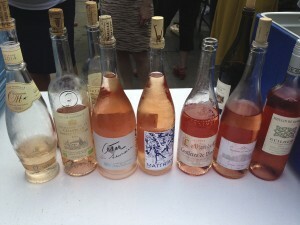 Their rosés, and reds, are made from Pinot Noir and are made in a crisp, clean style. Most are stainless steel fermented. 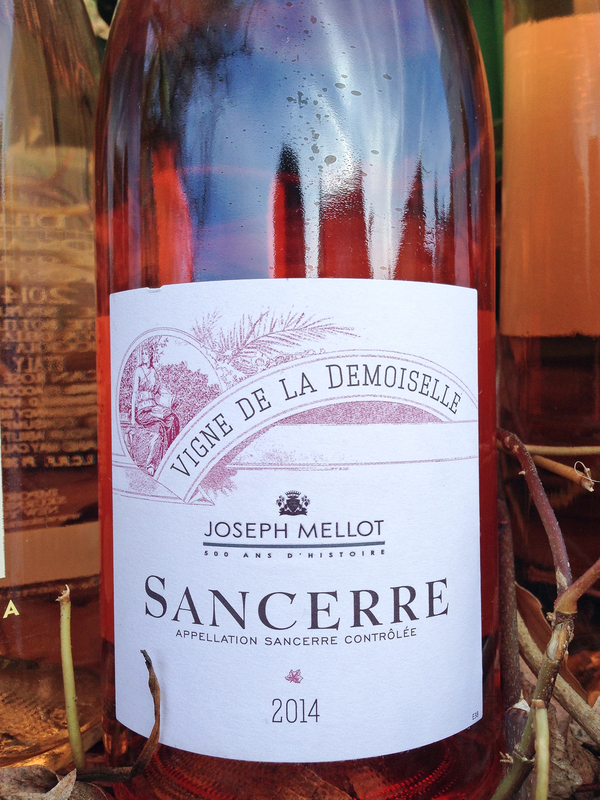 Joseph Mellot Père et Fils – Vigne de la Demoiselle (around $15)- explore the great wines of this region. Tuscany– La Spinetta is extremely well known for their collectible wines from Piedmont: Barbera, Barbaresco and Barolo. 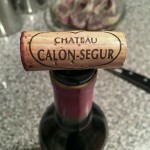 The first red wine they produced (Barbera Cà di Pian) is still a great value. This wine, Il Rosé di Casanova, fom Tuscany is a blend of 2 types of Sangiovese grape- Sangiovese Grosso and 50% Prunolo Gentile (the name for Sangiovese in Montepulciano). Aromas of flowers, honeysuckle and red fruits, this one tastes of summer and is under $20! 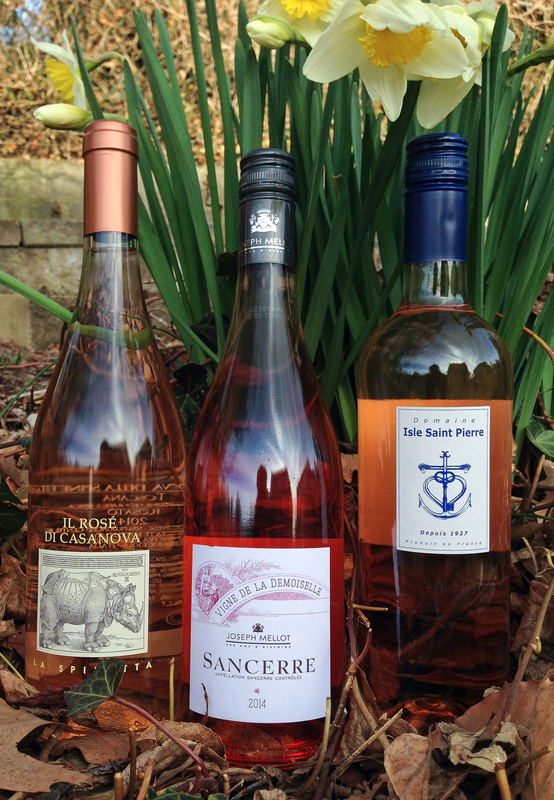 Camargue- Domaine Isle Saint Pierre Rosé– ripe strawberry with fig. 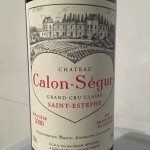 This wine is a blend of Cabernet franc, Merlot, Arinarnoa, Petit Verdot, Tannat and Cabernet Sauvignon. 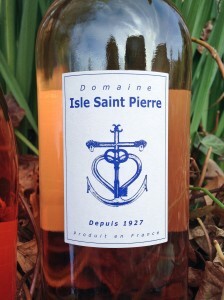 This wine has been produced on an island at the mouth of the Rhône river since 1927. For around $10 this would be a welcome port in any storm. 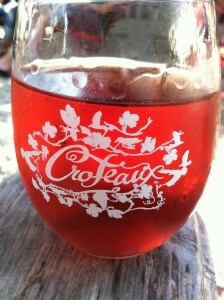 On a recent wine trip to the North Fork of Long Island we discovered a fantastic new (to us) winery, Croteaux Vineyards. 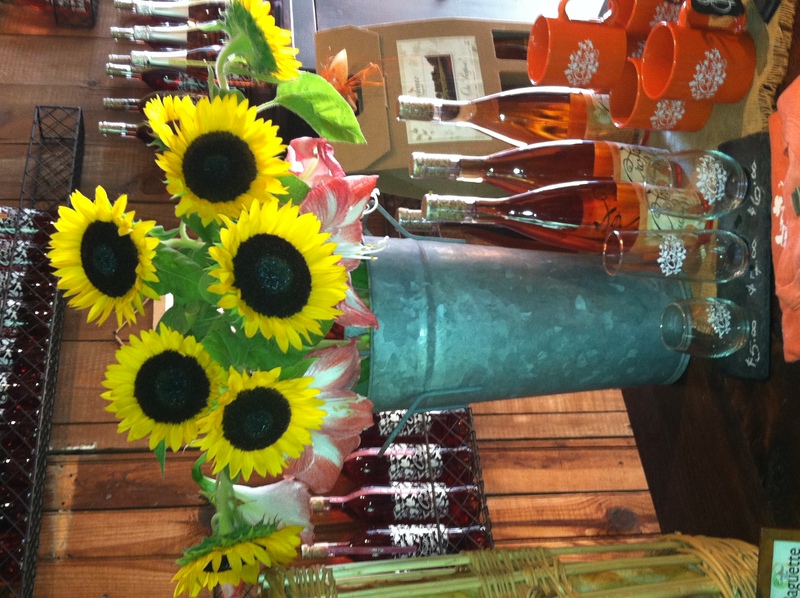 Unlike many of the other wineries in the area they do not allow larger groups (more than 8), and do not accept limos, buses, taxis, or any hired car services. 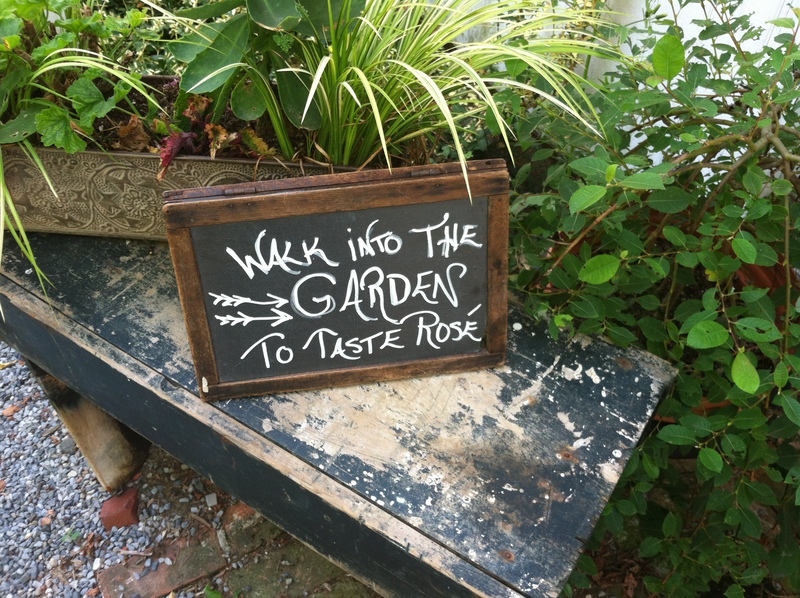 These ‘rules’ provide for a calm, relaxing vibe to sit back and enjoy delicious Rosè-only, wine. 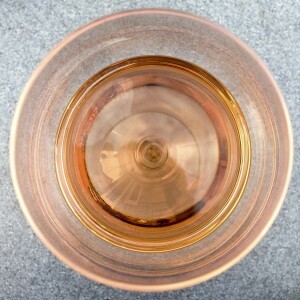 Even though Rosè is generally given its own category, it is technically a very light Red wine. This distinguishes their wines, from the majority of Rosès, which are often made as a by-product of red wine production using the saignée (pronounced ‘sonyay’) method, which means to “bleed off”. Basically the red wine maker has a big vat of grape juice and skins that they leave fermenting together to make a darker colored and more flavorful wine. They remove some of the liquid to let the remaining liquid and skins become more concentrated. 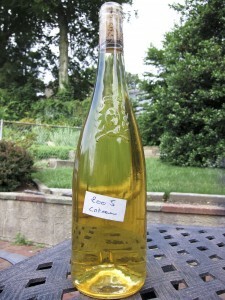 Normally what is removed becomes Rosè wine. 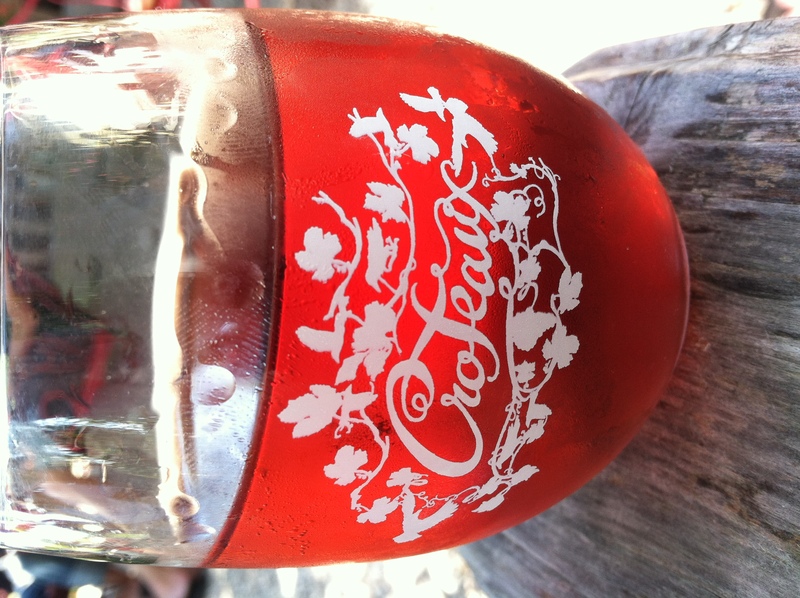 NOT so at Croteaux, where they grow Cabernet Franc and Merlot specifically for the beautifully colored wines, of various styles, to be enjoyed by all. 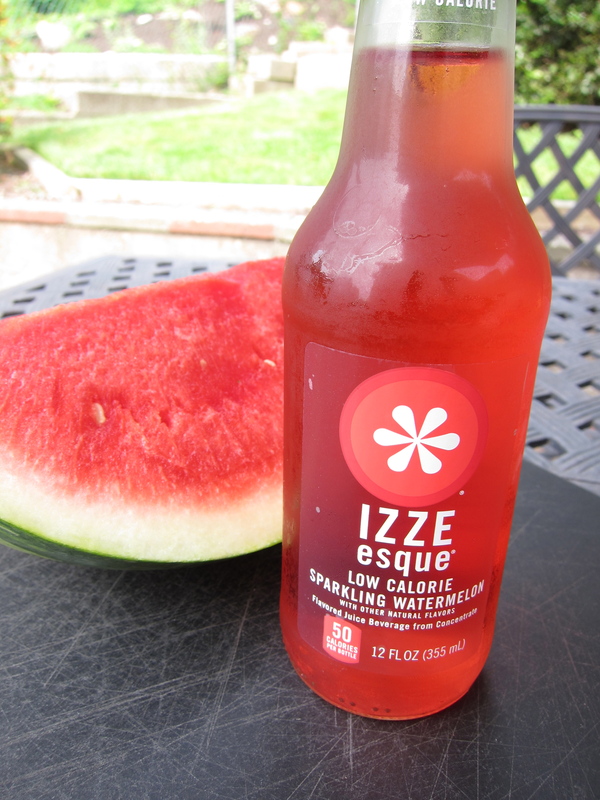 Not to be outdone by the wines, the packaging of EVERYTHING- from the logo and their colors, to the bottle labels, t-shirts, and garden outside, is trendy and elegant. 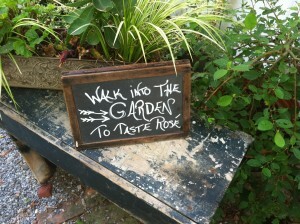 Next time you are in the neighborhood I highly recommend you visit and buy someone special a gift here. 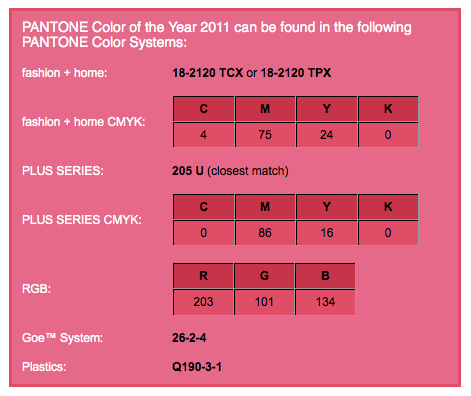 Since they are fairly small production you probably won’t find them anywhere else. Quest for the perfect summer wine…a look back?